Try it out sometime. 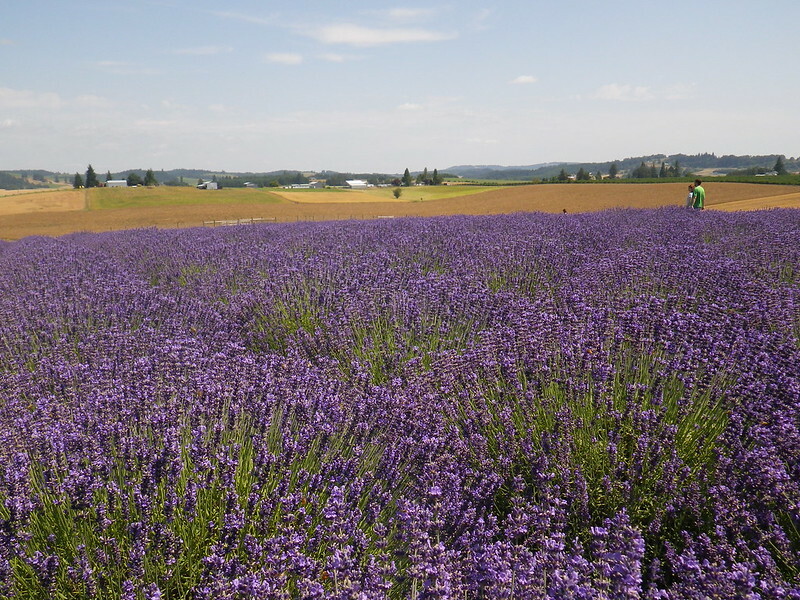 Find a local lavender fest and pick out a good route to several farms. 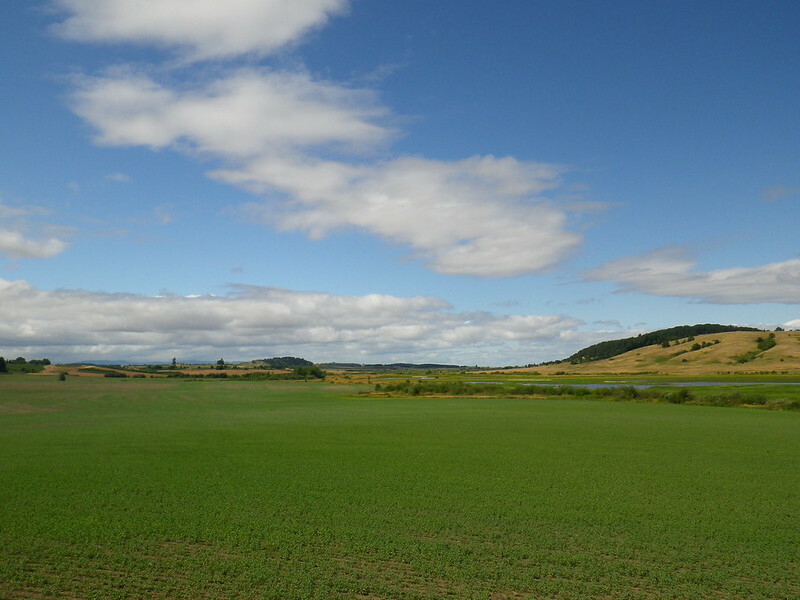 It'll likely take you into unexplored countryside and each stop will probably have ice cream or at least chocolates. 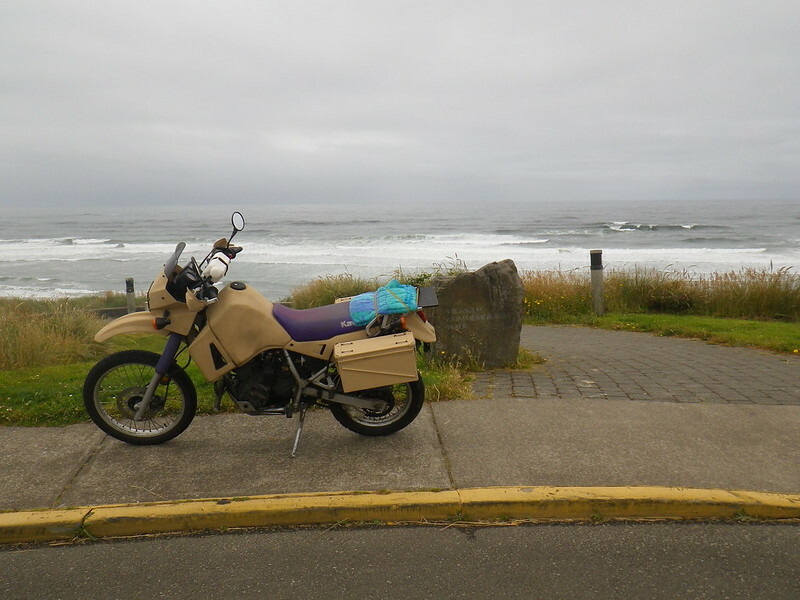 This particular trip my friend and I were headed to see Joan Jett perform in Lincoln City. (Yes, she still rocks). So we detoured through the Yamhill Lavender Festival on our way. Zipping around from farm to farm was definitely the highlight of the trip as far as the riding goes. 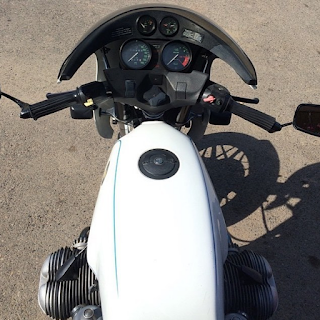 The KLR handled great with a passenger and fancy concert clothes packed in the ammo cans too. Just a quick adjust of the rear spring and it handled like a champ. The rest of the riding was fairly un-eventful. Highway 18 isn't known for being an exciting route to the coast. A morning-after Joan ride down 101 to have breakfast in Newport more than made up for it though. 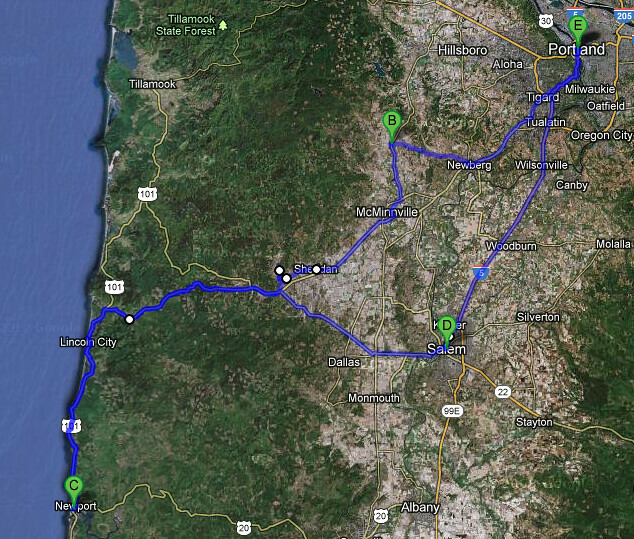 Just to change things up we took the Willamina-Salem Highway back towards Portland. Consider it the windier route back into Salem. There are definitely some beautiful patches, but be weary of high wind gusts. They're pretty constant and indiscriminate? Yes, that's the word.